The estimated cost of replacing corroding docks and facilities at the Port of Alaska has ballooned to nearly $2 billion, the project contractor said recently — a sum that will likely translate into price increases for gas, groceries and other consumer goods in the coming years. City officials said they were stunned by the new figure, which is double what the city expected to pay. The new cost estimate comes as the city has been preparing to build the first phase of a “modernization” project that launched in 2014. That phase includes a new petroleum and cement terminal, which delivers gasoline, diesel, jet fuel and cement to the rest of the state. 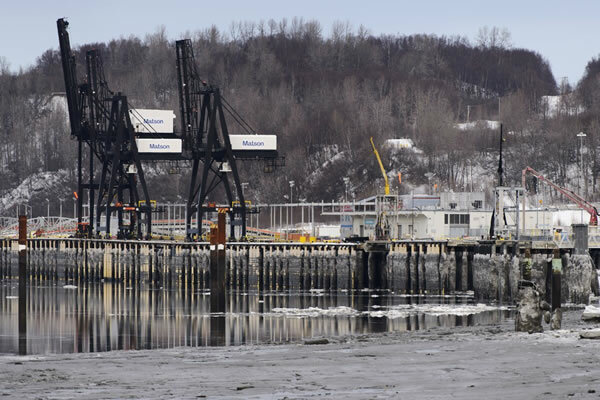 The docks at the Port of Alaska have been crippled by corrosion and will begin closing in a decade without major repairs, officials have warned.